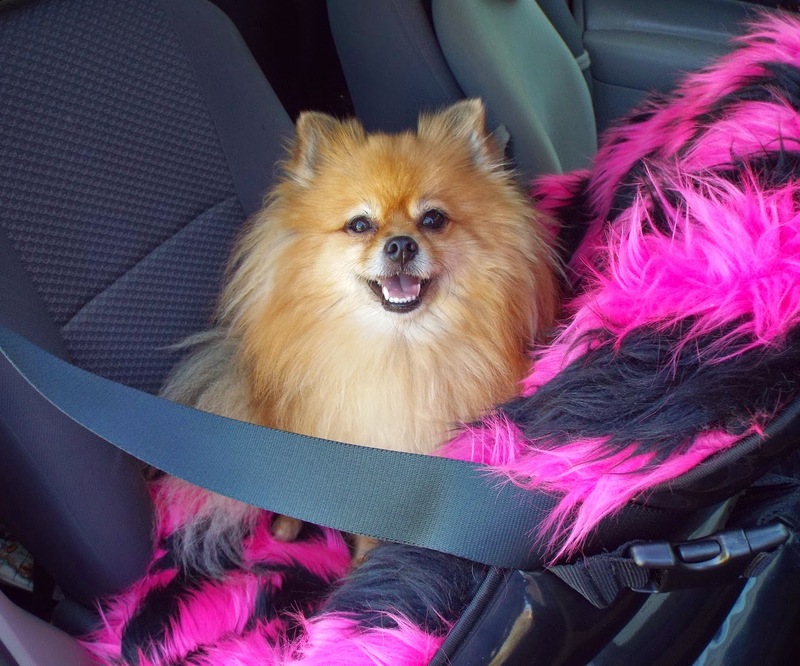 Are you ready to see another PepperPom adventure? 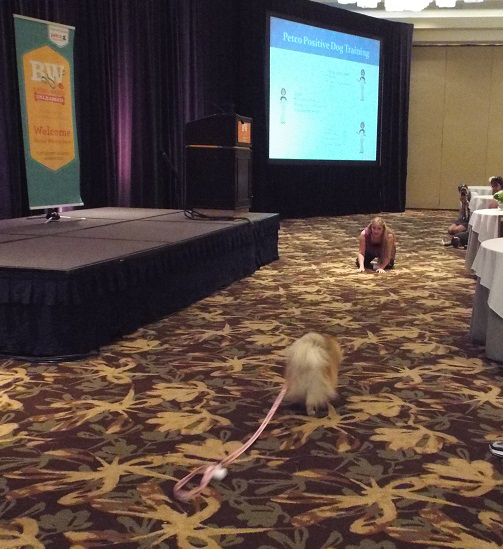 Here's BarkWorld 2013! 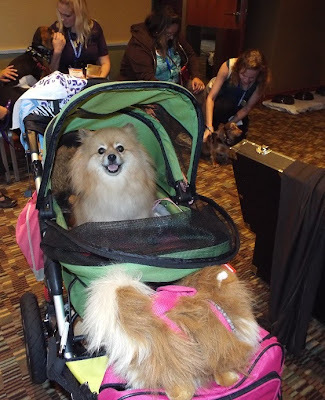 Mom packed a lot of stuff into our little car, including my Dogger Stroller. Then we went for a loooooooong car ride to Atlanta, GA. When we arrived, my pal Emmy was already there. She is so nice, and gives excellent tushie scritches! BOL! Emmy brought my favorite hamster - Charlotte - with her. The photo is blurry because Charlotte was busy exercising while Mom was using the camera. BOL! The next day we had a fun and busy time. 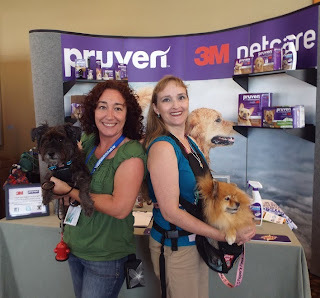 We speed-dated several great companies, and went to a pawty sponsored by Natural Balance. On Friday and Saturday I enjoyed sniffing all of the sponsors' booths. I posed with StarWars Princess Leia buns on my head at the Petco booth. 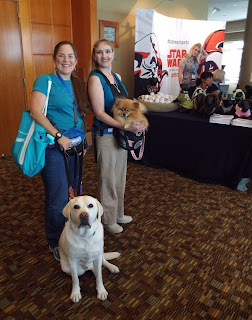 Look at all the pawsome StarWars pet products! I LOVE the toys!! BOL! 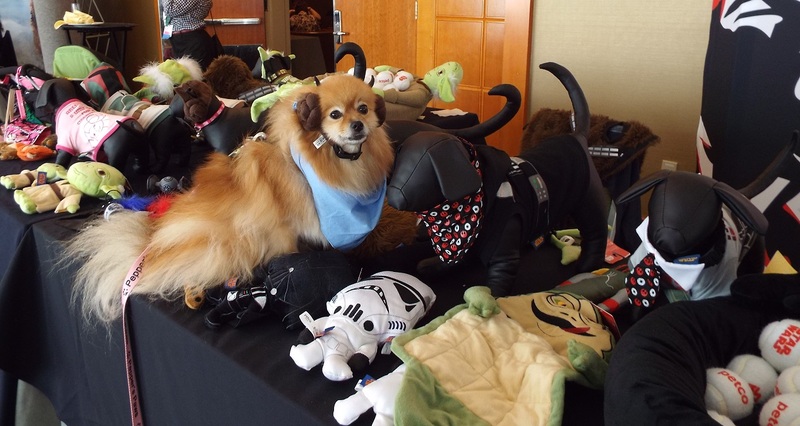 These furrific toys and other StarWars pet items will be available at Petco and Unleashed by Petco on September 1. I will bark more about them before Halloween. We attending some educational sessions, including one about positive training. 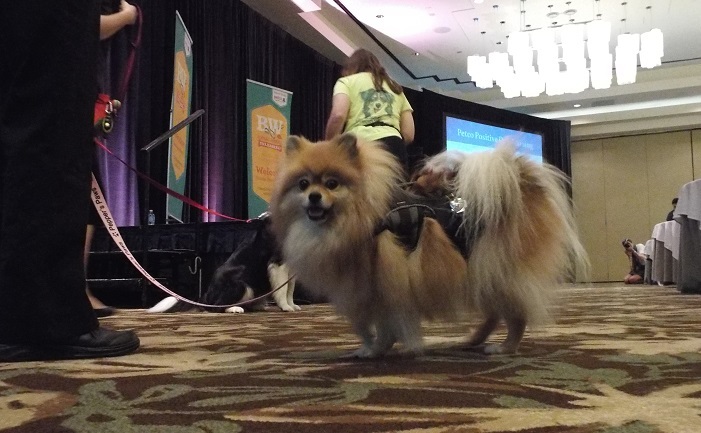 I volunteered to be a demo dog. I showed people that I could "come" to Mom when called. Mom made me walk a long way to reach her and the treats. Victoria Stilwell autographed her new book for me. 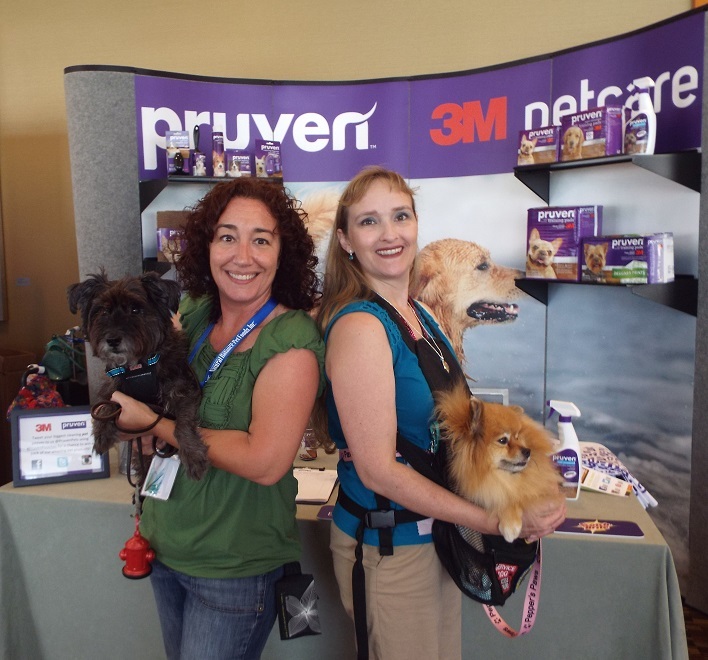 Oz and I posed with our moms in front of the 3M Pruven booth. Garth and I posed with our moms near the Petco booth. This is my cute little pal Sophia Loren. People think we look alike, except that I am MUCH larger. BOL!! 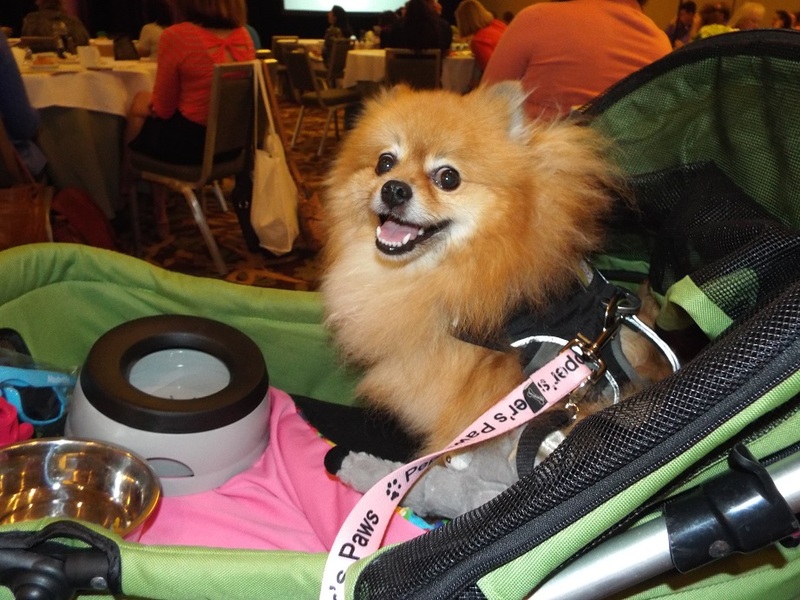 My Pom stuffie and I had a pawsome time at BarkWorld 2013! I will bark more about some furrific products I saw and used at BarkWorld, plus I will giveaway some BarkWorld swag later this week. Your mom and Oz's mom look like two of Charlie's Angels! OMD, what an incredible time you had Pepper!! 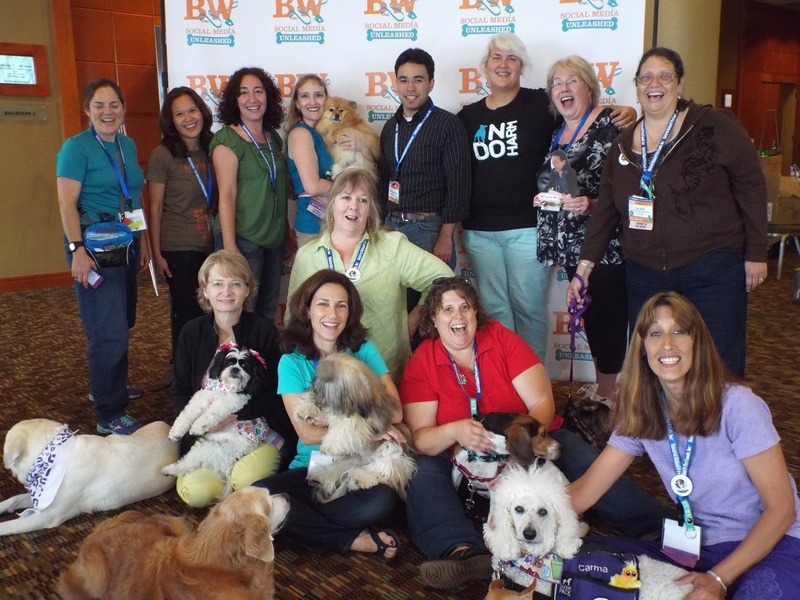 :-D Look at all those pawesome people and pups that you got to hang out with! WOW! Enjoy a little R&R after all that fun! Happy Wednesday! Thank you. It was fun. Now, I am waiting for Mom to unpack all my swag. BOL!! OMD!!! I did miss getting a photo with Sugar! I only have a photo of Sugar napping in photo class. Next time we will have to be sure to photo together! Woof-hoo, Pepper!!!!!!!!!!!!! 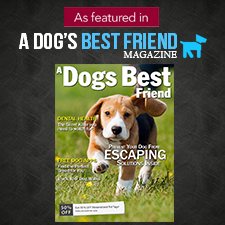 Pawtastic post about Barkworld!! Ma says you gotta email her those photos of all four of us together, PLEASE! BOL It was so GREAT to finally meet you in the furs. 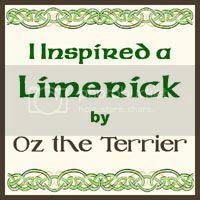 Yes, I will bark at Mom until she emails the photos to your mom! BOL!! 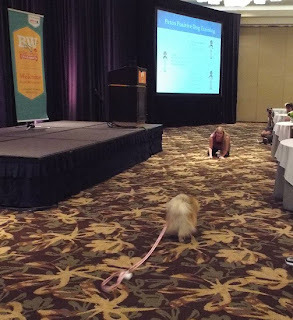 Would love to see a post from you about some of the specific things that you learned while at BarkWorld! I will be happy to answer any questions - if I know the answer. BOL! Pawsome photos, Pepper! Our local Petco is having a Star Wars pawty next week! Did you meet anyone from Dogster while you were there? OMD!!! You are so lucky!! You HAVE to go to that Petco pawty!!! Take photos!! 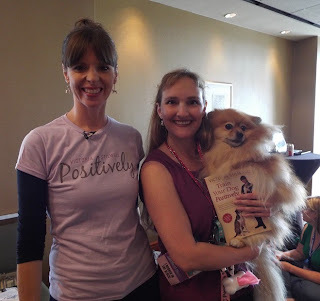 Yes, I did meet 2 furrific ladies from Dogster/Catster! WOW!! 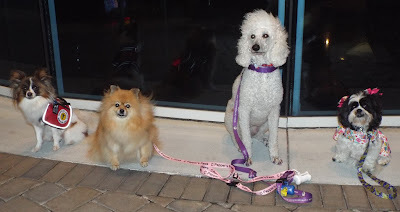 Pepper you and your mommy were so busy and I bet had ton's of fun!! Hi Molly! We did have lots of fun! It is pawsome to meet pals in furson. Pepper, you're my fave Pommie in the world! Thank you for the numerous nose kisses. It was a great BarkWorld. you got some amazing photos and I LOVED the petchat photo! It was sooo great seeing you and your Mom at BarkWorld Pepper! I still need a photo with YOU!!! We HAVE to get a photo next conference!!!! If we don't, I will bark my head off! BOL!! Looks like so much fun...maybe next year we will go. I hope so! 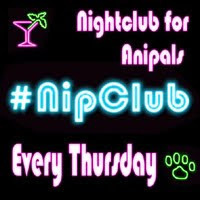 I would love to meet you in furson!! Great post! Look how close we are in the photo! High Paw! Thank you. I think I made some progress with my dog issues. BOL!! You sure did Pepper! You were great! Cute pics! 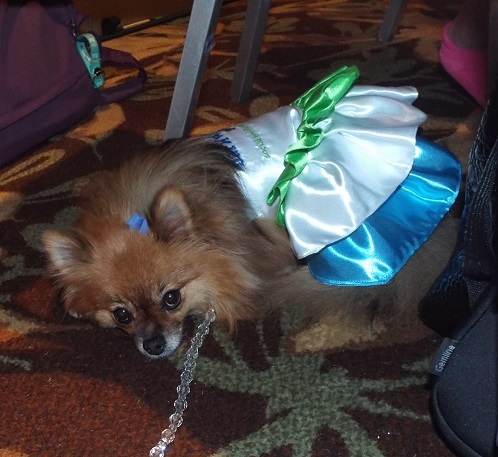 Totally bummed we missed BarkWorld--looks like it was a blast. I'm sure we'll meet at future events to come. 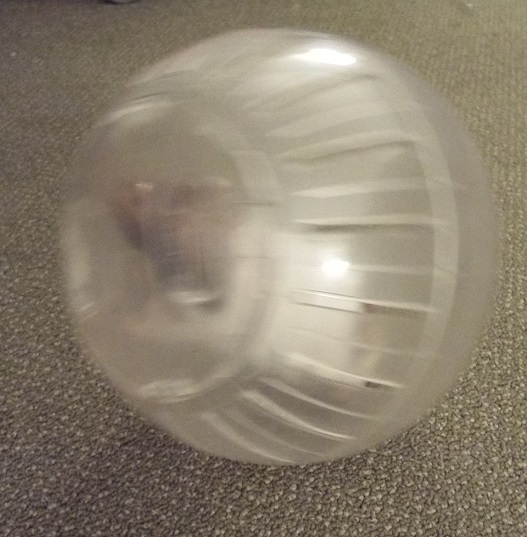 Oh Pepper, it sure looks like you WOW'D everyones there!!! I loves the pics of you guys and your Moms!! I bets you guys pawtied your tails off!! !